Tyrice Henry just finished his Junior season at Bluefield College, his best season to date. The Defensive Back was named 1st Team All-Conference as a Defensive Back and 2nd Team All-Conference as a Return Specialist. The Alexandria, Virginia native improved on an impressive 2017 season where he was named to the ALL-NCCAA team as a Defensive Back. He finished the 2018 season with 64 tackles, 3.5 tackles for a loss, 5 interceptions, 1 interception touchdown, 9 pass deflections, 2 forced fumbles, 2 return touchdowns, and 480 return yards. He was also named the Conference’s Special Teams Player of the Week two times during the season and was the leader of turnovers on the Rams’ Defense. Henry is a versatile Safety that can play all over the field from Safety, Nickel, Cornerback, and down in the box. He prides himself on being a ball hawk and a down hill run stopper. His film and statistics prove this to be accurate. He also plays a huge roll as a Punt Return specialist with skills that get his team touchdowns, taking two returns to the house this past season. Play recognition, run stopping ability, return skills, strength, and physicality are some of his most notable traits on the field. Regardless of his success in the past, he still has a chip on his shoulder to become the best football player he can possibly be. One of his major focuses for next season will to be more consistent every time he touches the field. He holds himself to high standards, and expects to meet or better those standards on the Gridiron. He also wants to be more of a leader on and off the field since he will be the oldest in his position group next year. 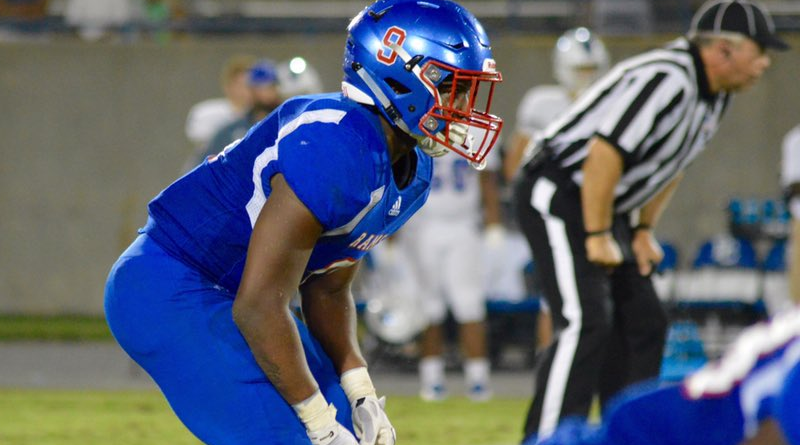 The goals he wants to accomplish next year are to become an All-American and help his school reach the playoffs, as Bluefield College has never made an appearance in the postseason. Beyond college, Henry hopes to make it to the professional level, but if not, he plans on doing what he loves off of the field, helping the youth. However the main accomplishment for Henry will be graduating with a Bachelors Degree in Criminal Justice, since he will be the first person in his family to attend and graduate from college. This season has taught Henry a great deal about his mental toughness and what he can accomplish on the football field. Before the season, he lost a very important person in his life, his little brother Elijah. Due to the the impact of the loss, Henry could have hung up his cleats and quit football all together, but he stayed strong because he wanted to continue doing what he loved, something his brother would have wanted him to do. This decision of his led to the best football he has ever played and one he will remember forever.